A Canadian teenager used star charts and Google Earth satellite images to find what could be the ruins of a lost, ancient Mayan city. Using only a star chart and Google Earth, a Canadian teenager claims to have discovered the ruins of an ancient Mayan city in Mexico’s Yucatan Peninsula — and he might actually be right. The young man, 15-year-old William Gadoury, didn’t make his discovery out of the blue. He began studying the Mayan civilization in 2012, and noticed an interesting trend in where they built their cities. “The Mayans were extremely good builders, but they often built in places that made little practical sense — far from rivers, far from fertile areas,” he toldCBC News. Gadoury’s theory is that the Mayans wanted the locations of their cities to correspond to the position of the stars, so he compared 22 Mayan constellations to the regions where ruins have already been found. Sure enough, 117 known Mayan ruins matched up with his ancient star charts. Then he noticed that a 23rd constellation didn’t have a matching city — and theorized that an undiscovered city corresponding with that constellation must have been out there. So Gadoury took his research a step further and used Google Earth images to see if he could find any spots where the Yucatan’s vegetation might be disturbed by the remains of any manmade structures. Eventually, Gadoury found what he thinks are the outlines of pyramid platforms in a lost Mayan city. The project made him a clear winner of his school’s science fair, and as an added bonus, he earned a trip to a conference organized by the Canadian Space Agency. There, he presented his theory to Canadian Space Agency liaison officer Daniel Delisle, who probably realized the kid was on to something. Delisle gave Gadoury access to high-definition Google Earth satellite images that would perhaps be able to corroborate his theory. Rough outlines of possible pyramid platforms were visible in those high-definition images, giving even more weight to Gadoury’s hypothesis. 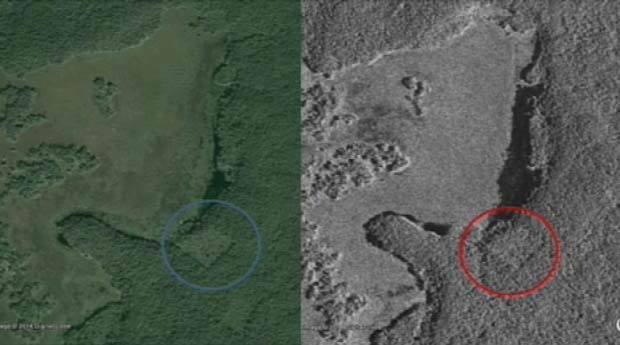 But looking at satellite images won’t be enough to prove that this teen actually did discover a lost Mayan city, which Gadoury has named K’aak Chi, or Mouth of Fire. 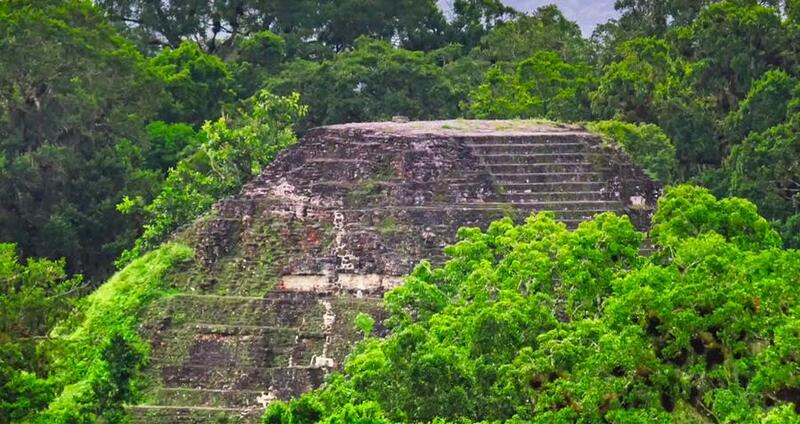 Next, see the shocking transformation of the ancient Mayan pyramid known as El Castillo.